I mentioned it a while back, but I'm going away for the next couple of weeks for a wedding in Portugal. But fret not! Gamer Cafe will continue as usual. I've been stockpiling a fun little story for the last couple weeks and regular updates shall continue while I'm away. Nobody bothered to fill up some of those guest slots? @ninjaxxxrecon: Nah. 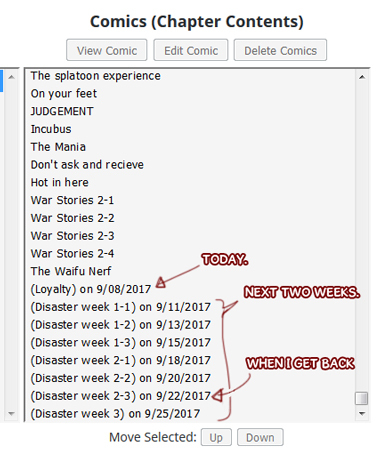 I didn't exactly push it since I had this story arc planned as a backup anyway.